Home Finance News: NIF Group, Inc. Acquires Agency Intermediaries, Inc.
News: NIF Group, Inc. Acquires Agency Intermediaries, Inc.
NIF Group, Inc., a leading wholesale broker, program administrator and managing general agency and their parent company, JenCap Holdings LLC announces that they have agreed to acquire privately held Agency Intermediaries, Inc. and A.I.I. Insurance Brokerage of Mass., Inc. (A.I.I.). Both affiliated entities serve as MGA/contract binding authorities and wholesale insurance brokerages, respectively located in Guilford, Connecticut and East Douglas, Massachusetts. 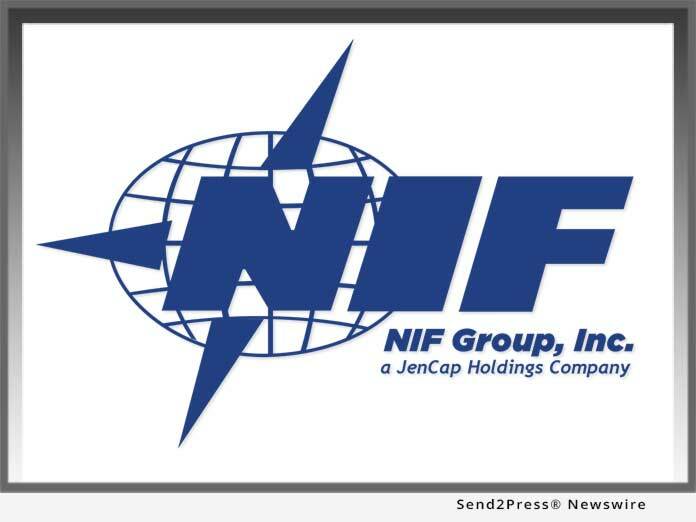 MANHASSET, N.Y. /Mortgage and Finance News/ — NIF Group, Inc., a leading wholesale broker, program administrator and managing general agency and their parent company, JenCap Holdings LLC announces that they have agreed to acquire privately held Agency Intermediaries, Inc. and A.I.I. Insurance Brokerage of Mass., Inc. (A.I.I.). Both affiliated entities serve as MGA/contract binding authorities and wholesale insurance brokerages, respectively located in Guilford, Connecticut and East Douglas, Massachusetts. Agency Intermediaries, Inc. was formed in 1980 by Ray Connors, Sr. and Manja Connors. Erina Connors joined in 1983, focusing on the brokerage of excess & surplus Lines. Since 1998, A.I.I. has been led by Erina Connors and Julie Sonier. Agency Intermediaries, Inc. and A.I.I. Insurance Brokerage of Mass., Inc. serve independent agents in Connecticut and Massachusetts in placing excess/specialty lines business. NIF Group, Inc. is one of the country’s leading professional insurance organizations. Serving the independent agent community as a national program administrator, regional general agent, surplus lines broker and specialty insurance Intermediary, with offices located on the east and west coasts of the U.S. NIF has been serving agents & brokers since 1976; they were successfully acquired by JenCap Holdings in December of 2016. Through the acquisition of A.I.I., NIF now expands their footprint in the northeast with locations in Framingham, Massachusetts, East Douglas, Massachusetts, Guilford, Connecticut, and Warwick, Rhode Island. JenCap Holdings (JCH) was formed in March 2016 by The Carlyle Group (NASDAQ:CG) and JCH management to consolidate specialty insurance distribution businesses, including managing general agents, specialty program managers transactional wholesale brokers and captive managers. The acquisition of Agency Intermediaries, Inc. (A.I.I.) is the sixth such transaction by JCH, which is headquartered in New York, N.Y.